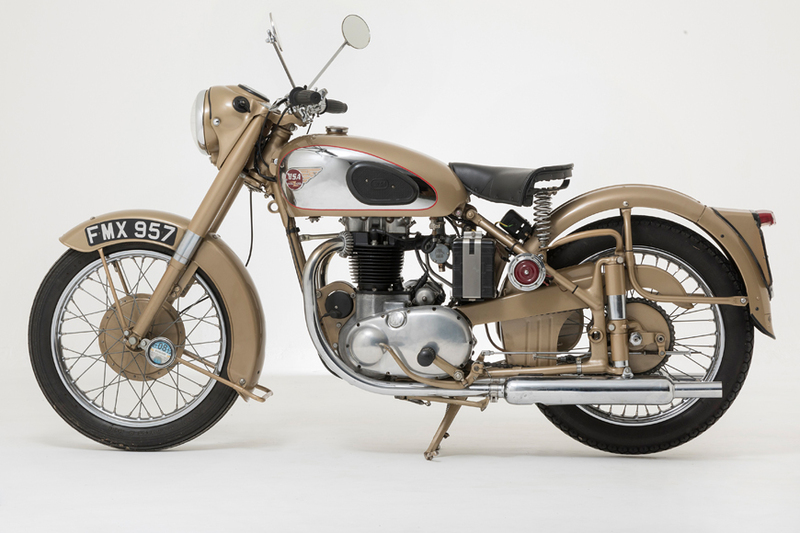 An eye-catching classic motorcycle has joined the National Motor Museum’s The Motorcycle Story and it’s a true golden oldie. The Golden Flash received a series of design tweaks during the 1950s. This 1953 example is fitted with plunger-type suspension on its rear wheel with buyers also able to specify a rigid frame as an alternative, although this was later revised with swinging arm rear suspension. The Golden Flash now takes pride of place in The Motorcycle Story in the National Motor Museum. Entrance to Beaulieu includes admission to the National Motor Museum, the new-look World of Top Gear, On Screen Cars, 13th century Beaulieu Abbey, Palace House and the picturesque grounds and gardens. For advance tickets or more information see www.beaulieu.co.uk or call 01590 612345.